The two and three tine deep rippers from John Berends Implements have parabolic curved tines which allow for an easy access to the ground. The points are hardened and similar to a bucket on an industrial loader. 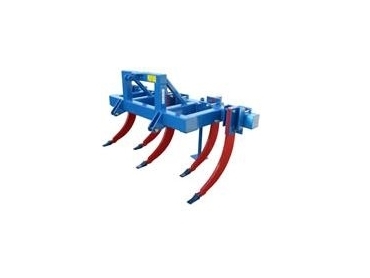 With an option of two or three tines which are made of 32mm semi high tensile steel, the deep rippers have tines which are adjustable and fitted with a shearbolt protection system. The main tine section measures in at 150 x 32mm with an overall tine height of 950mm. The tines have a tractor H.P of 25 – 30 H.P per tine. A 2 tine will have a net weight of 320kgs whilst the 3 tine weighs in a 395kgs. John Berends also offer a 12 month warranty against any faulty materials or workmanship.